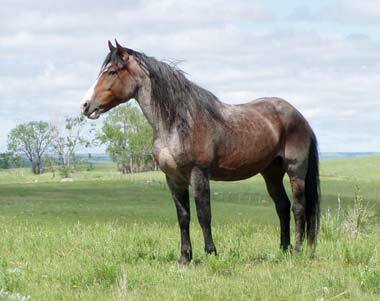 Nokota horse stallion epitomizing the conformation and characteristics of North Dakota's Honorary Equine; photo by Shelly Hauge, provided courtesy of the Nokota Horse Conservancy (all rights reserved; used by permission). Many other states have adopted equine symbols; Vermont and Massachusetts: Morgan horse; Alabama: racking horse; Idaho: Appaloosa horse; Kentucky and Maryland: thoroughbred horse; Tennessee: Tennessee walking horse; Missouri: Missouri fox trotting horse, North Carolina: Colonial Spanish mustang; Florida: Florida cracker horse; New Jersey: the horse; South Carolina heritage horse: marsh tacky; South Carolina state heritage work animal: mule; Texas: American Quarter horse; and Missouri: Missouri mule. Horse symbols have been proposed by Oregon (Kiger mustang), and Arizona (colonial Spanish horse), but have not yet been adopted. 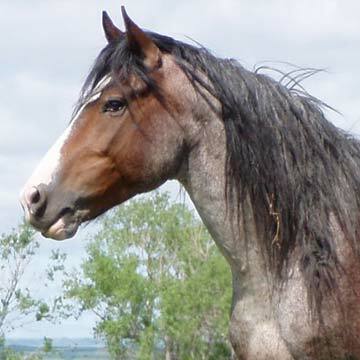 Nokota horse stallion; photo by Shelly Hauge, provided courtesy of the Nokota Horse Conservancy (all rights reserved; used by permission). 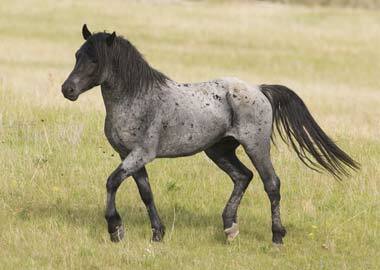 A stallion representing the conformation and characteristics of the pure Nokota horse; photo by Shawn Hamilton of CLiX Photography, provided courtesy of the Nokota Horse Conservancy (all rights reserved; used by permission).